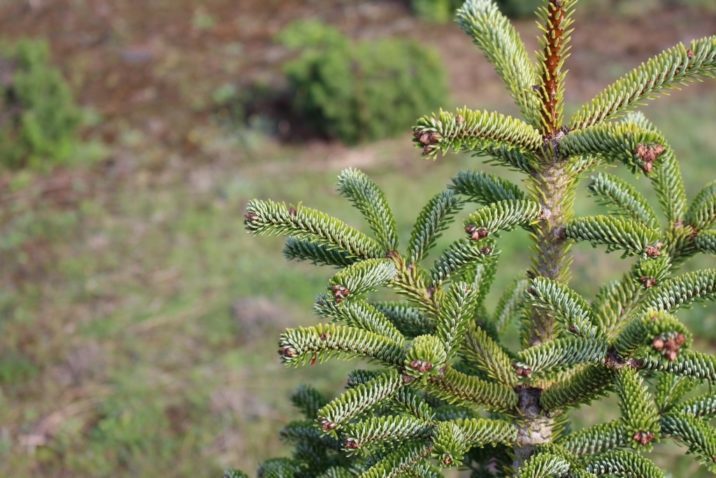 Abies nordmanniana 'Dobřichovice' is a dwarf, globose selection of Nordmann fir that with time, becomes pyramidal. Well-grown healthy plants will have stout uniform branching and dark green needles that slightly curl upward, revealing silvery needle undersides. After 10 years of growth, a mature specimen will measure 20 inches (50 cm) tall and 16 inchres (40 cm) wide, an annual growth rate of 2 to 3 inches (5 - 7.5 cm). This cultivar originated as a witch's broom found in 1998 by Jiří Holata if Czech Republic. Holata named the plant for Dobřichovice; a town in Prague-West District, Central Bohemian Region of Czech Republic. It lies on both banks of the river Berounka, about 15 miles (25 km) south-west of Prague. It can be presumed that's where Holata found the original broom. Abies nordmanniana 'Dobřichovice' — a closeup of foliage detail. 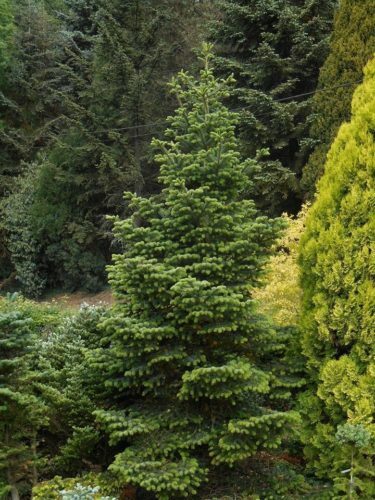 Abies nordmanniana 'Dobřichovice' — a 15-year-old specimen in a private garden in France. 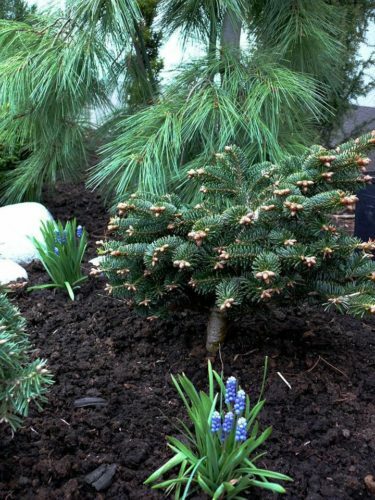 Abies nordmanniana 'Dobřichovice' — a young specimen in a private garden in Latvia.